This Saturday, public libraries across Connecticut will be celebrating the 8th annual Take Your Child to the Library Day with free events, activities, and treats for children and their families. Take Your Child to the Library Day was first launched in 2012 in Connecticut, thanks to Nadine Lipman, children’s librarian at Waterford Public Library. Lipman’s goal was to motivate families and children to experience everything their local library has to offer including events, free enrichment programs, educational activities, numerous resources and to introduce children to reading. Since its inception, the library day has become an international initiative with nearly 1,200 libraries participating in 49 U.S. states and five countries. Last year, according to the Connecticut Library Consortium, nearly every town in Connecticut featured free family activities. 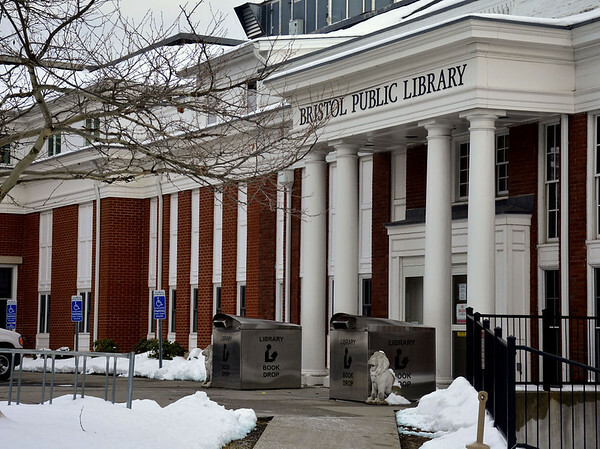 nBristol Public Library welcomes children of all ages to attend one (or both) of their two Teddy Bear Picnics. Both parties, the first at 10 a.m. and the second at 2 p.m., are admission-free and will include snacks, a variety of crafts, storytime, and a visit from a very big, very friendly brown bear. nPlainville Public Library invites families to stop in at 1 p.m. for a themed party inspired by the children’s classic, “If You Give a Mouse a Cookie.” Party activities include a special reading of the best-selling story, themed refreshments and activities, and a surprise visit from the book’s famous cookie-craving mouse himself. The Berlin Peck Memorial Library encourages parents and caretakers to bring their cameras. nSouthington Public Library will hold an arctic-themed story-time, beginning at 10 a.m., followed by a free “Build-Your-Own-Stuffed Animal” program featuring a selection of arctic animals such as penguins, wolves, polar bears, and spotted leopards. Supplies are limited, however, so to ensure that your child returns home with a cuddly, new arctic pal, please register in person at the Southington Public Library as far in advance as possible. Call 860-628-0947. Posted in The Bristol Press, Bristol, General News, Plainville, Plymouth, Southington Herald, Terryville on Wednesday, 30 January 2019 18:54. Updated: Wednesday, 30 January 2019 18:56.